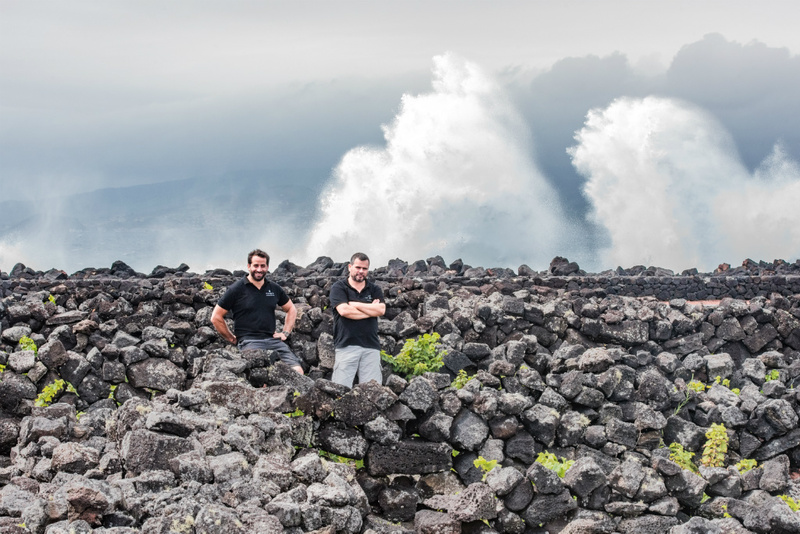 The Portuguese archipelago of the Azores is home to a winemaking tradition that dates back to its colonization in the 15th century, wherein viticulture was introduced by Franciscan friars. This group of islands is home to a singular terroir and microclimate, one that draws close comparison to the island of Santorini. Like Santorini, the Azores are volcanic islands comprised entirely of black basalt. 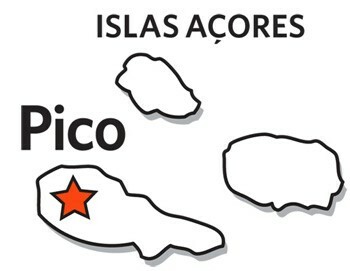 Pico, the main wine producing island where these vineyards are located, has such poor soil that the vineyard needs to be supplemented with soil from neighboring islands to support vine growth, and even with that, the yields are a fraction of what they are in the rest of the DOC. Additionally, the vineyards are grown in tiny plots (2-6 bush trained vines per square) protected on all sides by small walls called “currais” to ward off the strong winds that blow in from the nearby beaches. 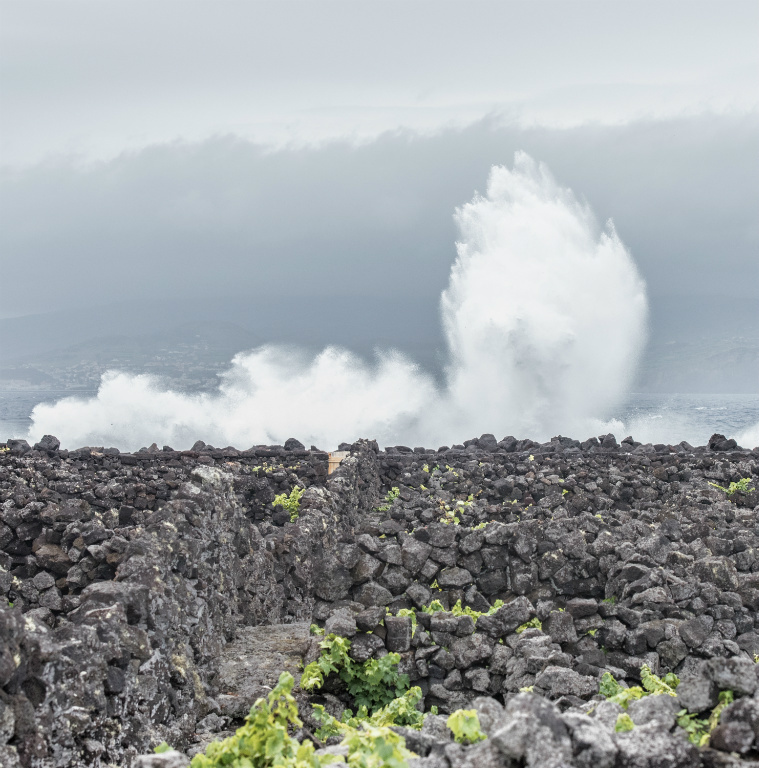 Arinto dos Açores is a varietal indigenous to the Azores that shares the acidity and potential for longevity of the mainland varietal that shares its name; however, the two are not related. 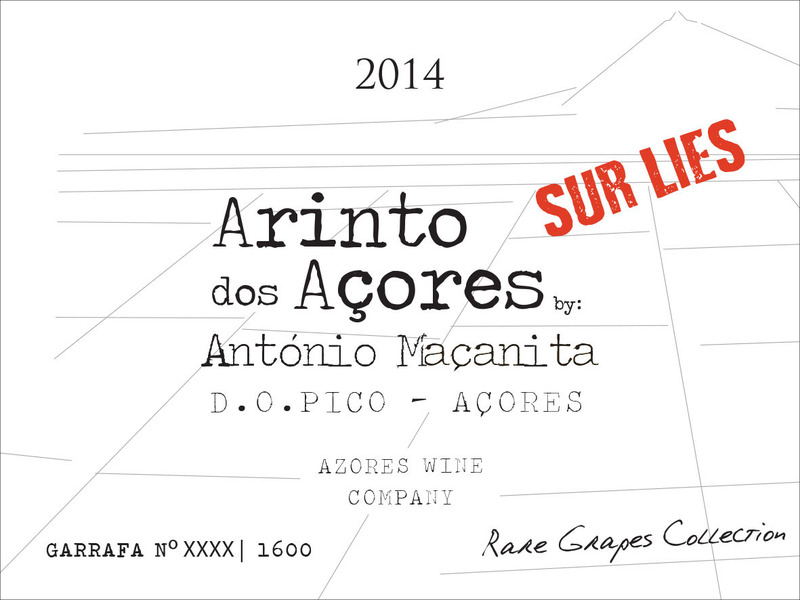 Dynamic winemaker Antonio Mançanita is based in the Alentejo, but wanted to explore this unique terroir because of his family’s history in this area – his father is from the Azores, and he wanted to pay tribute to this heritage. This is a micro-production wine from the tiny island of Pico in the Azores. It is grown in volcanic basalt at sea level, less than 50m from the Atlantic. This terroir and the varietal imbue this wine with incredible minerality and purity, as well as unmistakable salinity. 100% Arinto dos Acores. Sustainably grown vines planted from 1984-2004. Tended in volcanic basalt at sea level, less than 50 m (164 ft) from the Atlantic Ocean. Fresh, very mineral and salty. The perfect partner for oysters and "cracas." Works well with grilled fish, salads and fresh seafood. Hand harvested to 40kg baskets, heavy triage, then racked to small stainless steel tanks. These tanks were laid down in the fashion of a barrel in order to facilitate battonage during aging. Pico, in the Azores, is about 1000 miles off the coast of Portugal. It is dominated by the volcano Ponto do Pico, Portgual’s highest mountain. The soil is entirely black basalt, which puts enormous stress on the vines, lowering yields. Vines are the only crop to speak of on Pico, as other plant life has a difficult time surviving. Temperature averages 60-70 degrees Fahrenheit, with rainfall averaging 1200 mm a year. Brilliant green-yellow. Explosive aromas of lime zest, lemon, green mango and sea spray on the nose. A weighty, concentrated palate with intense citrus and green tropical fruits overlaid with assertive, saline-inflected minerality. Incisive, laser-focused acidity runs through the mid palate, kept in balance by impressive mouth-filling richness. This is a structured, intense wine with capacity to age.